St. Patrick's Day is less than a week away. Today, I'm sharing three easy, non-alcoholic Irish drink recipes to make your St. Patrick's Day more festive! In Ireland, a shillelagh is an Irish walking stick, and a symbol of the Irish lifestyle. The walking stick was used as a club, also. Directions: Pour liquids into a shaker. Strain over crushed ice and garnish with raspberries. This drink is mentioned in my Irish sweet romance novel, Oh Danny Boy. The hero, Danny, has very good personal reasons why he doesn’t drink alcohol. Directions: Pour Crème De Menthe into a cocktail glass, add chilled sparkling juice. Stir. Also featured in Oh Danny Boy, a Chocolate Mint Shake is served at the heroine's, Clara’s, birthday party. 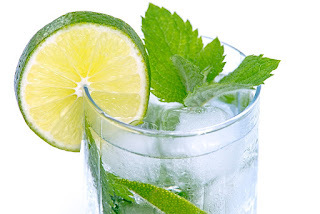 Do you have a favorite drink recipe? Please share in the comments below. One lucky winner will be randomly selected to win a free audio book of my sweet romance novella, Candleglow and Mistletoe. Check back on this blog tomorrow for winner announcement. 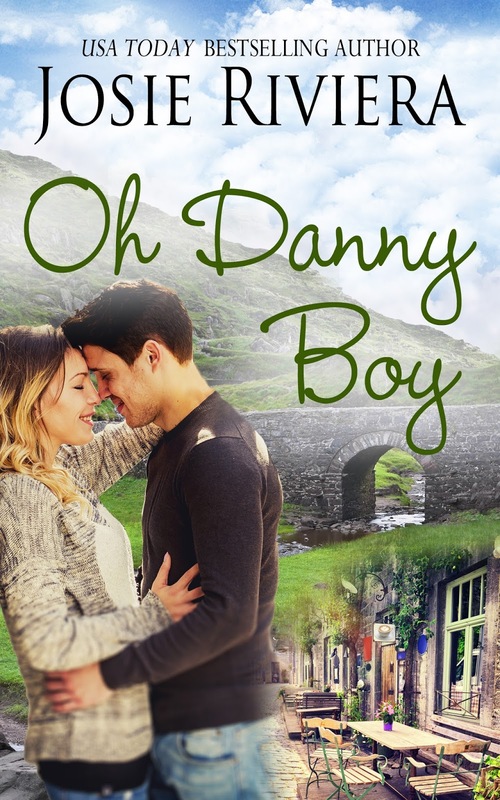 Here’s the cover for Oh Danny Boy. The hero, Danny Brady, owns a chain of coffee shops. See that little cup of coffee on the sign behind him? And, the bridge in the background is VERY important to the story. This full-length sweet romance should be available soon. 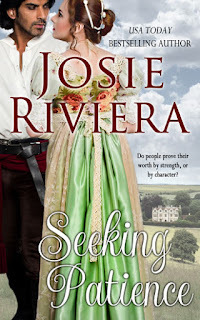 In the meantime, check out Seeking Patience, my Regency Inspirational full-length romance, available in ebook, print, and audiobooks. Sign up for her newsletter and receive a free sweet romance historical short story! My current favorite is a Lemon Drop. Place blackberry puree and cranberry juice in a champagne flute. Add sparkling water to fill. Garnish with mint. I must try this recipe, Sharon. I've never made anything with Blackberry Puree. I love blackberries. You can use 16 oz of frozen berries with 6 Tablespoons of sugar. Put in processor then strain. OR if you don't want the sugar, just puree them without and then strain. Thanks for stopping by, Merrillee. If you prefer something pretty without alcohol, I LOVE the look of these fruit cubes that you could make for ice water or something clear like Sprite (so you can see the fruit). People think these are so much fun!! Apple juice and ginger ale makes a good sparkling punch. Float a ring of frozen fruit for color. Thanx for sharing. Thanks, Jennifer. Sounds easy and fun! Directions: Combine ingredients in a pitcher. Margaret, Sounds great and a keeper recipe. Thanks for sharing! Thanks for sharing your wonderful recipes! This was fun! Jennifer Hibdon, you're the winner! Please email me at josieriviera@aol.com Happy St Patrick's Day, everyone!